Enjoyed the unique location and the many restaurants and shops easily accessible from the Edgewater. 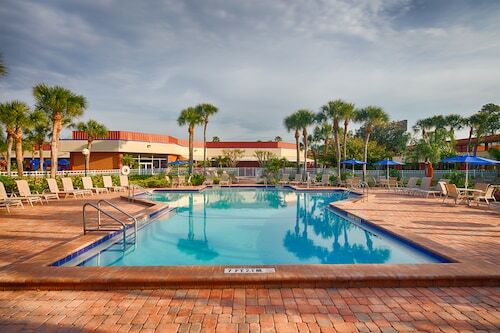 Great hotel in close proximity to Disney World. The breakfast is varied, the room was very clean, the layout was comfortable. Great for travelling with children. The pool area is beautiful. The bar service was excellent. The front desk staff was extremely helpful. The breakfast was good. It is definitely time for an interior and decor update. The property is starting to show some wear and tear. After a day at Disney this hotel location was a bit out in the middle of nowhere but not to hard to find and very quiet and nice with a very helpful staff and great opportunities of any golfer. So you're thinking about a holiday to Winter Garden? If you want a place to call home that's located near some well-known Winter Garden attractions such as Walt Disney World® area and Walt Disney World® Resort, just go to Orbitz, choose your travel dates, and voilà! Review the list of hotels and other accommodations to find those that are close to everything you want to see. 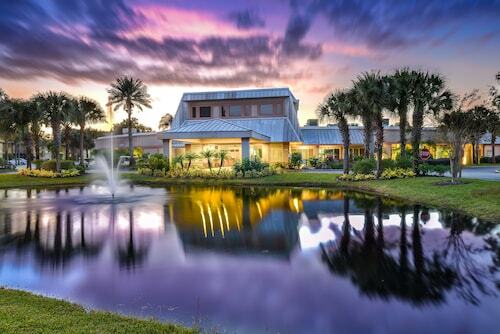 We make it easy to find a convenient flight into Kissimmee, FL (ISM-Kissimmee Gateway), which is 17.2 mi (27.7 km) from the heart of the city. Find your ideal flight in nothing flat by using the filters on our site to narrow down your search. Go for a swim when you stay at one of these Winter Garden properties, appreciated for their pools. What's the Weather Like in Winter Garden? Spacious and Private 3 Bedroom Deluxe Condo Near Disney World High Floor!